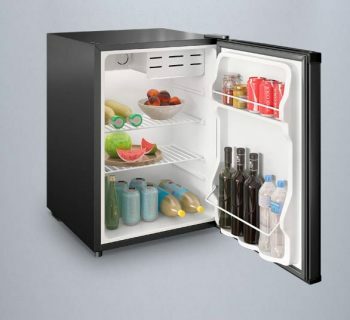 Whether you are a college student or need to keep some food and drinks handy, a compact refrigerator is the way to go. 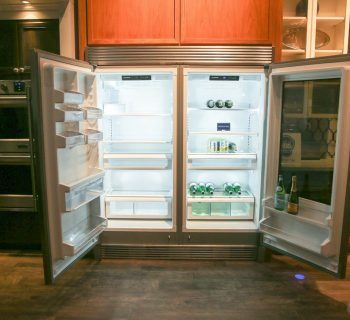 Coming with many of the features of traditional sized refrigerators - including adjustable shelving, temperature control, and a freezer - mini fridges also have the added bonus to being incredibly small. Despite their size they have been ergonomically designed to hold plenty of drinks and food. Consolidating down the best compact refrigerator reviews, here are the best mini fridges on the market today. 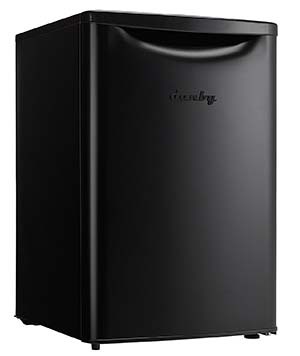 Igloo is a company synonymous for making high quality and affordable products, and this mini fridge is no exception. 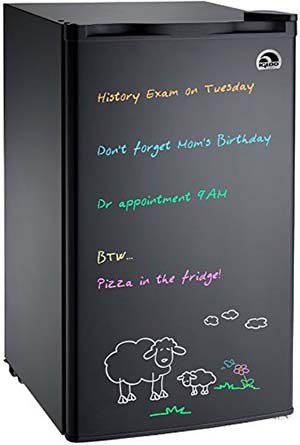 Being the best compact refrigerator today, Igloo has included the unique addition of a the front door having a dry erase board. 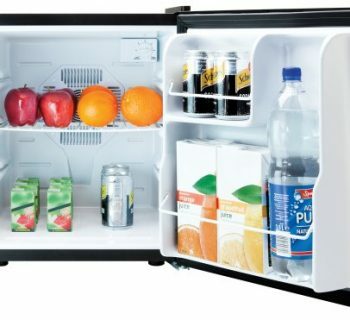 Useful for notes or artwork, this mini fridge’s door is completely reversible - ensuring that’ll fit just about anywhere! The slide out glass shelving allows for larger items to be put in with ease, along with giving users the ability to clean off the shelving simply. With 3.2 cubic feet of storage space and an adjustable thermostat, you won’t need to worry about perishables with this excellent pick. Coming in eight amazing colors, this mini refrigerator can fit just about anyone. With a reversible door you can easily fit it in even the tightest of corners in your room. With 3.2 cubic feet of interior space, along with slide out shelves, and built in can holder you can be sure you’ll be able to fit all the necessities into this little machine. The compressor cooling gives amazing performance even in the hottest of weather. The adjustable thermostat and lever gives this RCA machine a boost in versatility. 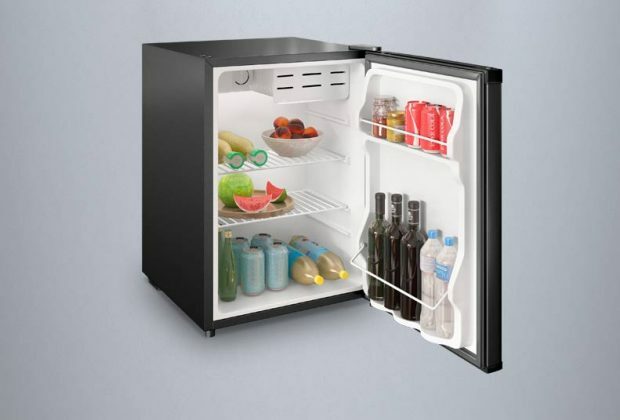 This compact refrigerator also low energy, meaning it’ll pay for itself in no time! 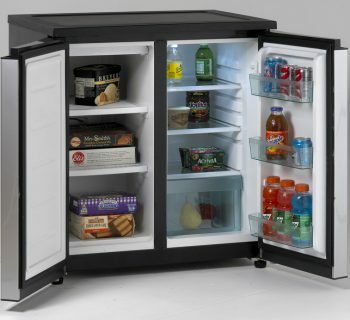 This Danby model is one of the best mini refrigerators out there. Coming in five modern colors, this machine is notable for being energy star compliant - no worries about emptying your bank account every month on the electronic bill! The door shelving is integrated in such a way to allow even large bottles to be stored there. Inside there is a glass shelving that is super easy to clean, along with adjustable temperature control, and a bright white LED light. For additional space this model also comes in 3.3 and 4.4 cubic feet of space. 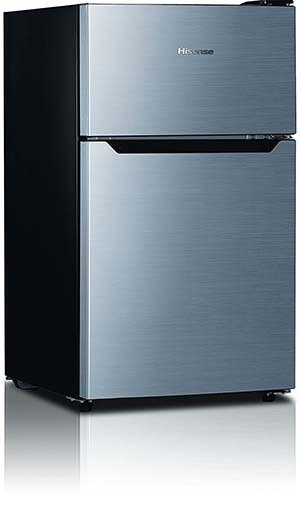 This Hisense model compact refrigerator is unique for having a separate door for both freezer and refrigerator. 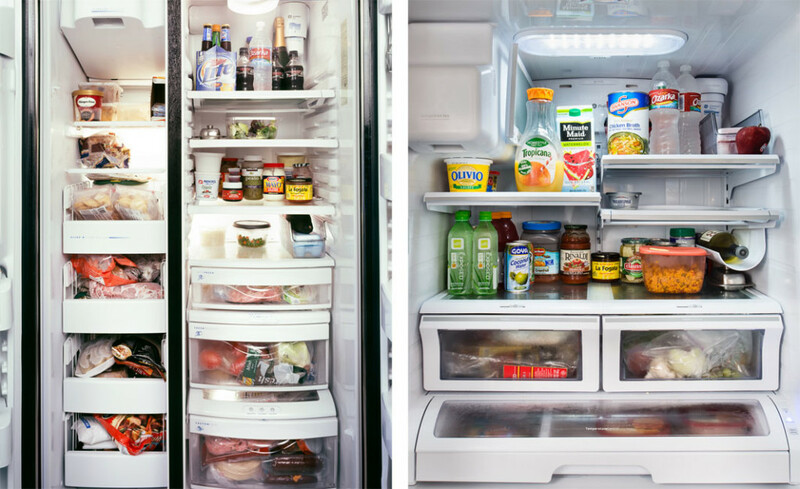 This fridge has a total of 3.3 cubic feet of space - divvied up between 2.3 cubic feet and 1.0 cubic feet on the fridge and freezer compartment respectively. 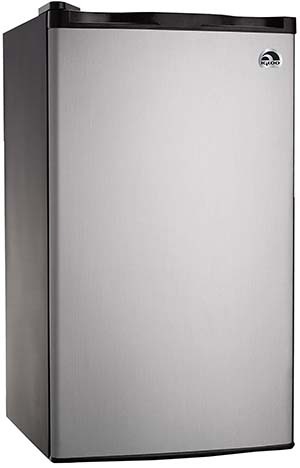 Being Energy Star certified, this fridge will keep your food’s temperature down along with your electric bill. The pair of glass shelves are easy to clean, and the reversible door makes sure wherever you put this machine you’ll be able to use it with ease. With three ultra-sheek styles available, this modern compact fridge has everything you need to keep your essentials cool. Comes with an adjustable temperature model - anywhere from 32 F to 50 F for the fridge compartment and -11 F to 5 F for the freezer compartment. 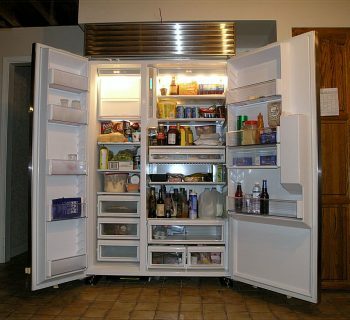 With adjustable legs and reversible door, it is no doubt that this refrigerator will fit in your room no problem. As an added bonus the main compartment contains a pair of drawers that help regulate humidity - making it ideal for fruits and vegetables. 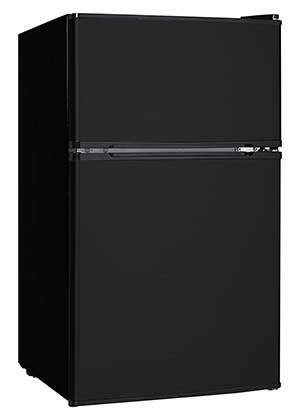 The double door style allows for an easy separation of freezer and refrigerator. 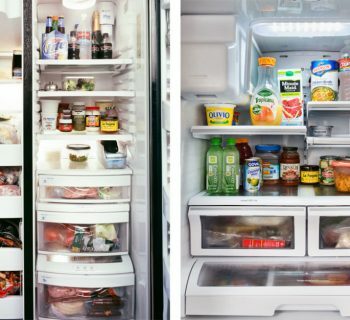 Regardless of why you need one, all of these compact refrigerators will more than get the job done. 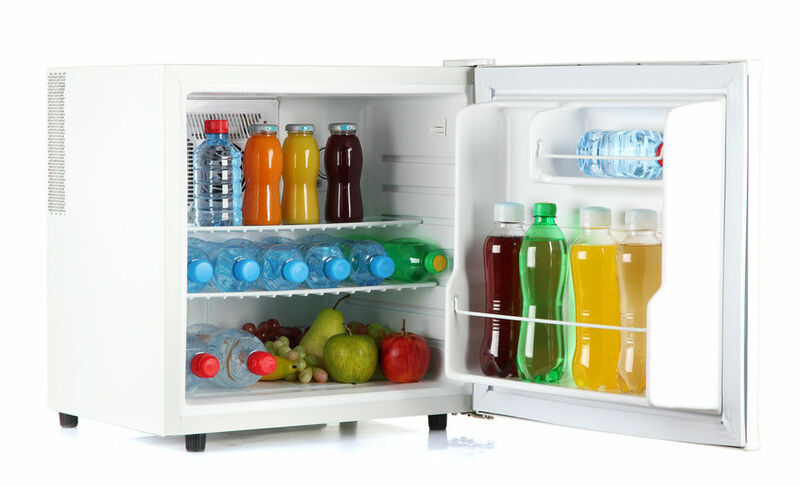 They highly adjustable fridges can reverse their doors with ease, adjust or remove shelves when needed, and also have the added bonus of many of them having a can holder. Despite their tiny size they can still hold a prodigious amount of food and drinks that can be accessed at a moment's notice. 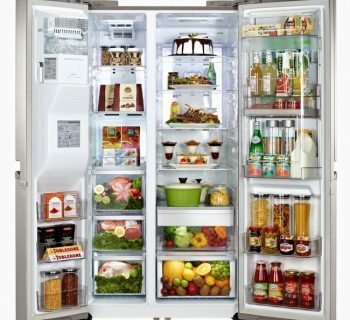 Get going with the best compact refrigerators out there!